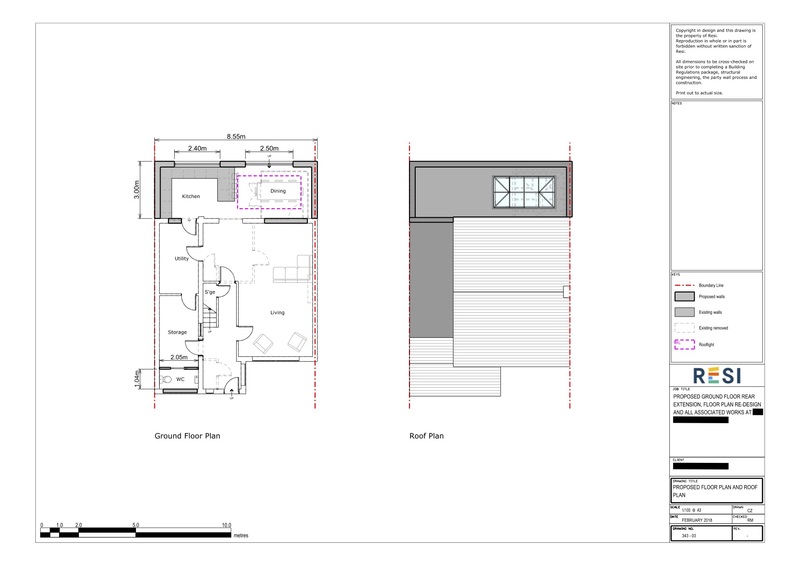 Our client came to Resi when they wanted to build a space that would be suitable for a new kitchen and dining room. We made sure this was possible by replacing their dated conservatory with a rear extension, perfect for big family meals and entertaining friends. 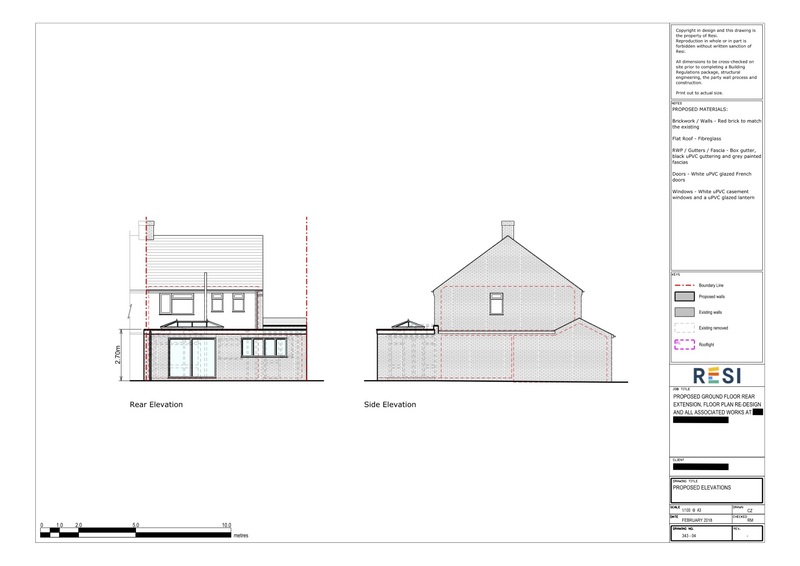 The primary request of the client was to create a space that included a kitchen and dining area, and their ‘must have’ for this area was a lantern roof to let in the maximum amount of natural light possible. They wanted this renovation to be in keeping with a modern style. In order to maximise space and add value to the house, we removed the conservatory at the back of the property and replaced it with a rear extension. This extra space was used to create an open plan kitchen and dining area, with sliding glass doors and a lantern roof, as per the client’s request. We also redesigned the garage to be a storage room and WC, adding further value onto the house.